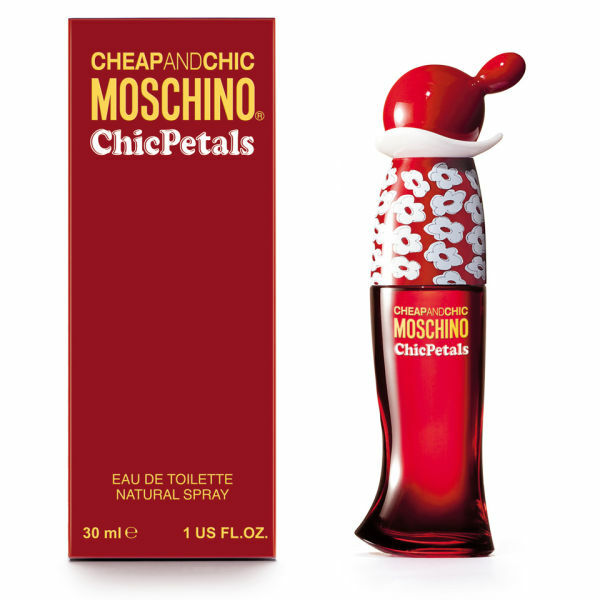 Discover the Moschino Chic Petals Eau de Toilette; a bright, floral-fruity fragrance for the elegant, sophisticated female who captures the wonder behind the sweetest little things of nature. Opening with notes of Wild Strawberry, Red Ginger and Pomegranate, the luxurious EDT is intensified by Red Orchid and Water Lily accords, before settling on a warm base of Musk, Iris and Hinoki Wood. Housed in a striking red bottle accentuated with a playful flower design. Top Notes: Pomegranate, Wild Strawberry, Red Ginger. Heart Notes: Red Orchid, Water Lily, Fresh Flowers. Base Notes: Iris, Musk, Hinoki Wood.